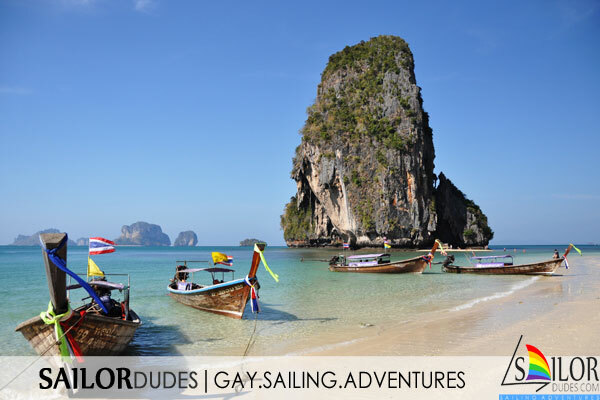 Gay Sailing Thailand: join this clothing optional sailing cruise from Phuket! These weekly sailing cruises from Phuket is fully operated by Hot BuOYS Sailing. They have planned 10 different 7-day sailing adventures that leave and return to Phuket in Thailand from December 2018 till March 2019. This trip is being conducted by gay skipper Philip Maise, his husband Noli, and his Filipino crew. It is conducted aboard Maise’s 22 meter long and 14 meter wide private vessel 'Hot BuOYS'. 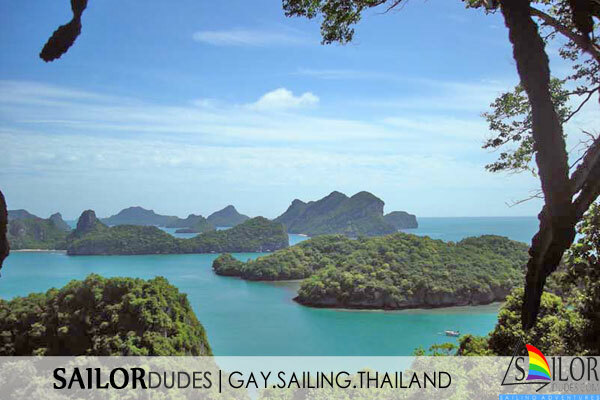 In the tradition of SAILORdudes they intend to make this a unique cruising adventure bringing you the best of the best that Thailand has to offer. No hidden booking fees will be charged. All further details of this cruise can be found on their own website. Contact us via the general enquiry form for any other questions you may have and we will be happy to answer them. Skipper Phil is a gay naturist skipper and his crew are all tolerant and open minded. So feel free to be natural too!